Anthropologie is loved for its mugs, candles and plates, however, the fashion department deserves just as much attention as the home section. Just this week Holly Willoughby introduced us to an amazing rainbow striped sequin skirt from there, and our favourite London-based label Rixo stocks its Instagram-famous floral printed dresses there too. But there's one department that has caught our fashion editors' eyes—the shoes. Not only does Anthropologie sell some of the coolest trainer brands, such as Emma Watson's favourite Veja sneakers, but it also has the most amazing boots, including the perfect red patent and olive green suede pair. Keep scrolling to shop the seven best shoes we have our eyes on in Anthropologie right now. 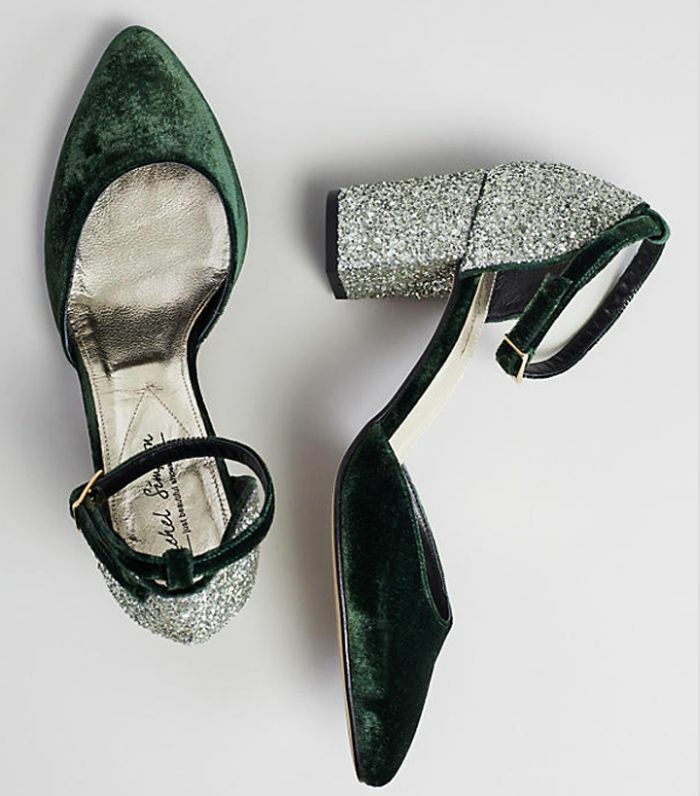 The green velvet paired with the sparkly heels make these the perfect Christmas shoe. These olive green boots are the perfect height. Anthropologie has a great sneaker edit too. One of our editors owns these and can confirm they are super comfy. These classic patent Chelsea boots have subtle glitter panels on each side of the shoe. Another pair of perfect party shoes. Next up, see our edit of the best winter boots to buy now.